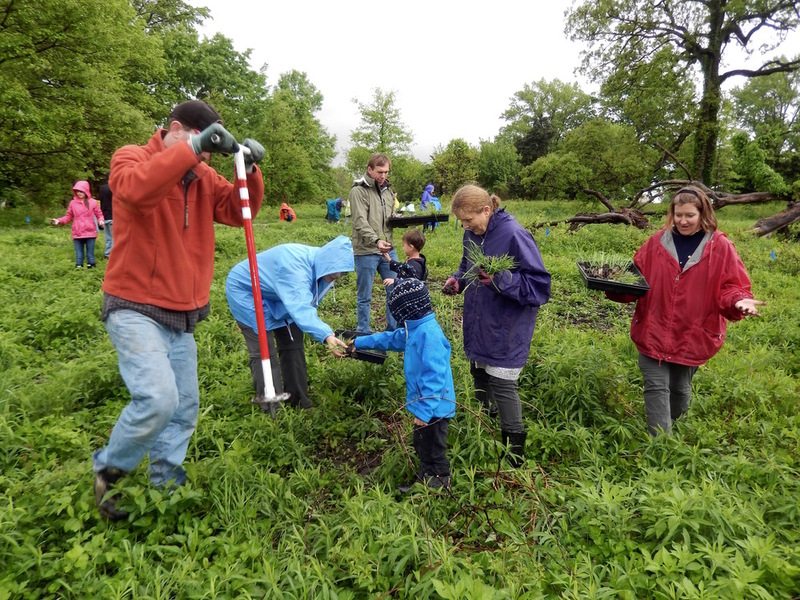 On Saturday, April 30, nearly 50 volunteers of all ages came out in the rain to plant 1,500 plugs in the Kennedy Woods Savanna. 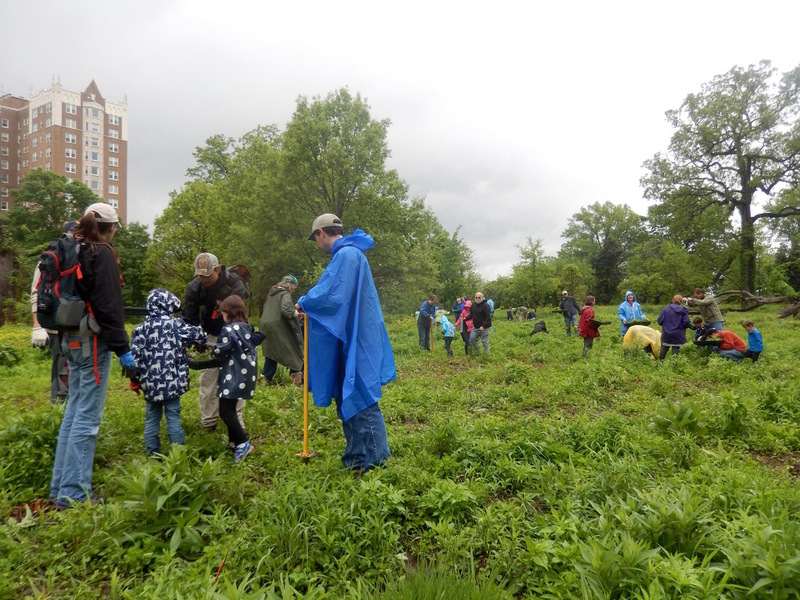 This volunteer day was a partnership between Forest Park Forever and the Kennedy Woods Advisory Group (KWAG), a dedicated group of volunteers who have been working to improve Forest Park since the 1980s. The day was planned as a special tribute to Ken Cohen, formerly the lead organizer of KWAG, who passed away in February. 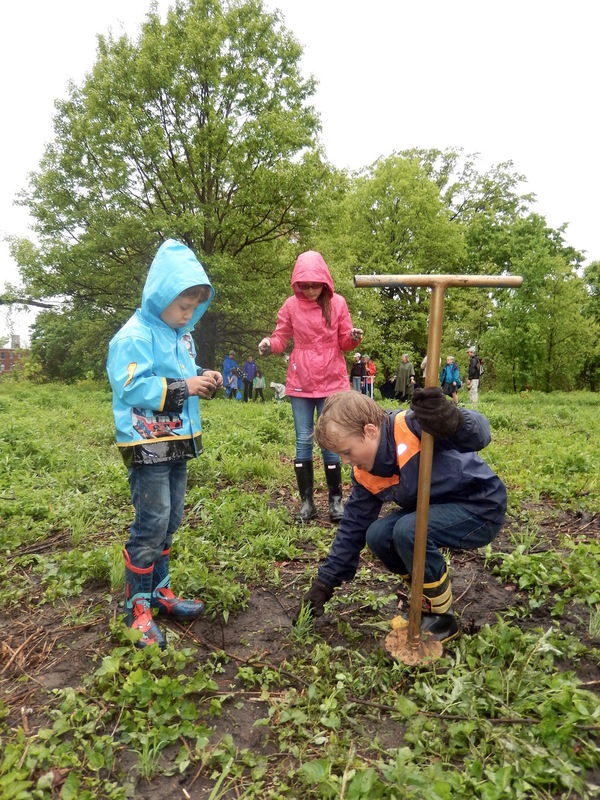 Despite the rain, the group had a great time planting in Kennedy Forest. We are, as always, grateful to KWAG for all they do for Forest Park!